Greeted politely. Mechanic promptly assigned to my car Michael Stewart. I was informed of the problem regarding my tyre with a price. The tyre was quickly repaired and tyre inflated to correct pressure which is unusual. Overall great and prompt service. There was a problem with the tyres ordered online but the branch sorted this out without delay and fitted a pair of similar tyres from stock which was great. Excellent and honest service with great prices and always willing to fit in at short notice. Great quick service, very happy! Great branch. Initial phone enquiry handled by Mark Fletcher, a helpful, knowledgeable, polite and friendly man. Arrived at the branch the following morning as arranged. Two new tyres fitted and on my way again in 40 minutes. Service, treatment and product could not have been better. These levels of service are rarely seen, (anywhere), and are what every supplier should aspire to. Excellent fast and friendly. After ringing round only place to have a reasonably priced replacement for my tyre. Straight in and replaced also checked front tyre as TPMS was reporting an issue. All the staff were very friendly, courteous and professional. The manager was off sick and I was served by Ian Robinson, who was great. The puncture in my tyre was repaired very swiftly. Extremely good - I don't give anyone 10 out of 10, so 8 for me is high praise. Extremely impressive. They go out of their way to make sure you are dealt with efficiently and professionally. Prompt, efficient service. Very helpful advice from the Manager, Mark, which saved me some money. Very pleased and will certainly return. Always very professional, efficient, friendly service and good deals. The personal touch makes you feel very valued. I was booked into the Norwich Branch for urgent front brake pads & disc replacement as Jaguar said they were 90% worn when my car was being serviced. I declined to have the main Jaguar dealer replace them due to (even with a special reduced price[!?] ) the fact that their charges would be 55% more than NTS.....They also said that tyres I had purchased here in April were 50% worn- Aargghh, panic. However,after a few minutes of work commencing the fitter called the excellent Manager Mark Fletcher over. I was temporarily aghast thinking what additional, horrible expensive issues are about to befall me. But NO. Lo & behold After Mark's checks he said no work was required and the brakes, unlike me, still had plenty of life in them so he would consider it unethical to take money from me unnecessarily; furthermore he said the tyre depth had been measured incorrectly & showed me why, plus how to accurately get the depth reading. Finally they reconnected a tyre (I was driving on the 'space saver') with a pot-hole damaged alloy,checked pressures,wear,etc on all the other tyres and gave the Jam jar's boots n'brakes a clean bill of health & no alignment OR charge needed. You will not find better service and such unbridled honesty anywhere else or certainly not without Sherlock Holmes help ! By the way,I have used this branch for all my tyres,etc for the past few years, even though I live 25 miles away. Say's it all. Outstanding performance from Mike, Josh & the Team. Well done guys. Peter S,Red Lightnin'Records. Two years ago after a main dealer service and MOT, they checked over my brakes and found them faulty, even though the main dealer had passed them. I was able to take the faulty parts back to the main dealer and received compensation as well as an apology. Just visited a national tyre branch. Outstanding service and invaluable advice - particularly important in a trade that often patronises women! I was well looked after!!! Quick while you wait service even on a Saturday. Whilst I was on holiday in East Anglia, I had a blowout on my tyre, I was put through to your Durham branch in error by your call centre. Your Durham branch (Michael) was good enough to call your Norwich branch for them to call me and order a tyre in that same afternoon as I had to get back to the Midlands, the tyre was fitted as soon as I got there, excellent service and pulled me out of a hole. Helpful,happy ,friendly staff,one of whom even remembered me from a year ago. Efficient,speedy work. A faultless and pleasant experience. Friendly and helpful staff. Explained what needed to be done. Immediate service instead of having to book in advance with your nearest competitor. Cheap, quick, good work carried out. The fact that I can buy online, book in AM or PM the next day and be given a fast efficient service is just perfect. The staff were very polite, patient and explained everything clearly in a way that I could understand. The first time I went there I had a tyre problem but it was only a valve. The staff replaced this free of charge. Due to this good service I returned 3 weeks later when I had another tyre problem. Again this was sorted out quickly. The level of service today was impeccable, when changing two front tyres. Your staff were polite and informative. Many thanks, Miles France. Registration no: VK64OZP. Very good pricing, excellent service. These guys couldn't be more friendly, efficient and professional! Quality of workmanship and service was excellent, pricing good too via Tyreshopper. Staff were very knowledgeable and vigilant in checking the car over, identified faults with other tyres and that I'd been told the fault was on the nearside rear, whereas it was actually on the offside. Speedy job. Very good service but did try and sell me tyres that I will replace at a later date and was very pushy towards Dunlop tyres. Staff are very friendly and efficient. Prices are reasonable. The politeness and courtesy of Tyrone helps to take 'good service' to a whole new level. His workmanship will, I am sure, prove to be of equal standard. Ian oversaw proceedings efficiently and professionally. They are clearly an asset to National's Norwich business. I would not hesitate to recommend National Tyres to others. Tiago Da Silva and Tyrone Phillips. What a great asset to your business, I had inadvertently ordered the incorrect tyres via the National Tyres and Autocentre webpage. Throughout the whole process they were courteous and kind. While they were sorting my mess out, I was able to live chat with the online centre, speak to Brad and arrange a refund of my original order W2380276. Good prices, good service, pleasant to do business with. Good customer service and communications. Had a conundrum with the oil change but this was explained to me about possible problem cracking of the filter housing due to the age of the vehicle so all good in the end. Very helpful staff quick turn around of work . If the correct tyres had been delivered and fitted then I would have awarded 10.You didn't so you got an 8. Good advice from staff member and nice friendly atmosphere. I have always received excellent service and great value for money. The work is always carried out to a high standard. The team at the Norwich branch are friendly, efficient and go that extra mile to make each customer feel special. I am confident that my friends and family would be equally impressed. Very good, professional, friendly customer service and good price! Courteous quote over phone before visit. Hard-working staff of TWO in a very busy branch. Excellent accommodating service,fulfilling my particular requirements AND the cheapest tyre price online,which when you have expensive,large tyres makes an important difference. Unbelievably helpful - order the wrong tyres and they went out of their to help resolve this for me despite being busy. Had to wait rather a long time today, but the staff did their best, I shouldn't have come on a Saturday! we found the staff friendly and helpful and we would have given a ten but due to a normal nut being sheared off so that tyre could not be done and the locking wheel nut socket being bent and then having to sort this out and will have to go back to get the fourth tyre fitted. if not we would have given a 10. The tyres are very good value for money. We had our exhaust done at Grantham branch 3 year guarantee, its lasted 5 year up to date. Because of this service im now having the van done, and brakes on car at our Norwich branch. They did a great job fixing my car and I wasn't waiting around for long. I have used National for tyres, exhaust and oil/filter replacement and have found the service to be excellent and their price very hard to beat. You may have to wait during busy times or for parts to be delivered but the quality of service and friendliness of staff make it worth the wait. Very professional, explained about the different types of tyres suitable for my car. Gave me a good deal. That did a top job today! Friendly. Free check to see if there was actually anything wrong. Reasonable price for the repair and done while I waited...almost... Same day service. good price, helpful cheerful staff,fast service, would have been ten but the coffee is expensive and gives out awful coffee. Good service especially at short notice when I needed tyres quickly. I would like to provide really positive feedback regarding the amazing customer service that I received from the branch manager Mark Fletcher, at your location on Dereham Road in Norwich. They not only carried out a repair for me and an oil change but they also did this very speedily, at very short notice and at a suitable time for me and I feel that they went above and beyond my expectations. Please could you forward this feedback to Mark's manager and back to Mark himself. The guys at this depot were very helpful and understood the problem I was having with the tyres and vibration. They spoke to BT Fleet to get the message across to them that the tyres were the problem and had to be changed. Fast response, I didn't need to hang around. Clear explanation as to my options. Quick turnaround. Reasonable cost. Could not fault the service provided by the team at Norwich from the start to finish, polite, honest, friendly and good service. Excellent service. As a customer I found them honest and trustworthy as well as competively priced. Mark at the Norwich branch was very considerate and helpful. Turned up with a flat tire, was very quickly attended to and had the problem fixed in no time! Excellent service from Mark Fletcher of the Norwich Branch .The exhaust fixed on my Honda CRV was done very professionally nothing was too much trouble . The additional advise given is greatly appreciated. Very courtious service , very quick and efficient service , staff not "finding" others works that "need to be carried out"
Very competitive tyre prices, faultless service, polite & friendly staff. Very friendly professional staff, providing an honest good value service. PROFESSIONAL WAY MY REQUEST FOR NEW BRAKES AND BRAKE FLUID CHANGE WAS SPEEDILY DONE. SALES REF NO 29914133. GOOD PRICE. GOOD CUSTOMER CARE FROM BOTH IVAN WATLING AND MARK FLETCHER WOULD CERTAINLY USE AGAIN. They we're polite. The job was done right and in a good time. Local, convienient and reasonable prices via tyre shopper. Friendly service , upfront pricing . Absolutely brilliant friendly and most importantly quick service at great value. Sooooo much better than Kwik Fit!! A breath of fresh air for us motorists. Had a puncture and within 45 minutes I was on my way. Excellent! Good price, good advice and quick service. Most of the people working there seemed to be more interested in helping me than at other places. Service was good, and the mechanic was lovely and explained everything well. Just turned up without booking on a sunday and got two new tyres fitted. The staff were polite, friendly and kept me informed as to what they were doing to sort out the problem with my car. The staff are polite and can communicate with the public and a competitive price. A quick and friendly service at the right price. Available, prompt, and able to sort out the problem at a reasonable price. Very convenient and had a quick service. Good service and speed of service. Ability to order on-line and specify a fitting date, NTS provided the best quote for the quality of tyre I wanted. Staff knowledgeable about the products, technically competent with good customer service skills. No hidden extras. 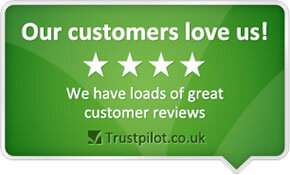 Very good all round, quick and helpful service.